Product prices and availability are accurate as of 2019-04-18 14:32:57 EDT and are subject to change. Any price and availability information displayed on http://www.amazon.com/ at the time of purchase will apply to the purchase of this product. 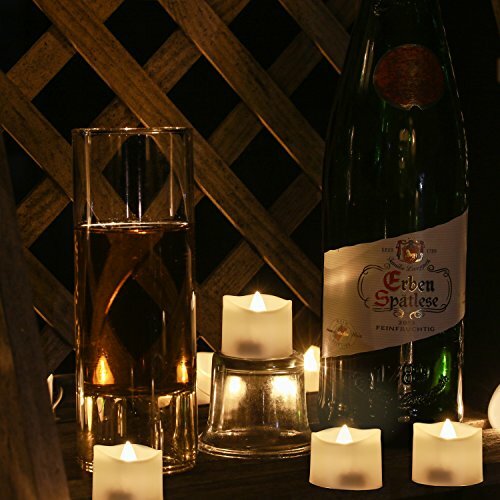 Set of 24 LED tea lights are great for not only normal decor but especially for the upcoming holidays! Add a bit of romance and ambience! 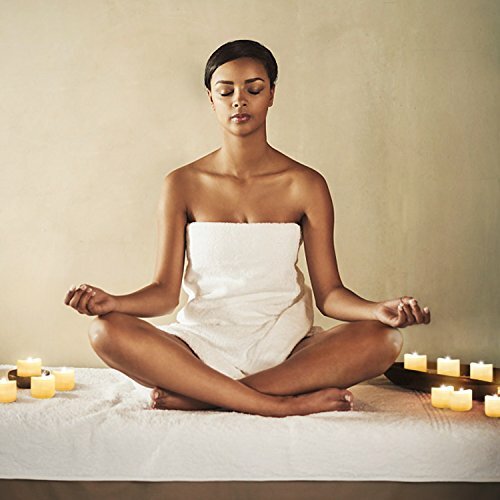 - Simple way to create just the right atmosphere for celebrations and everyday relaxation! 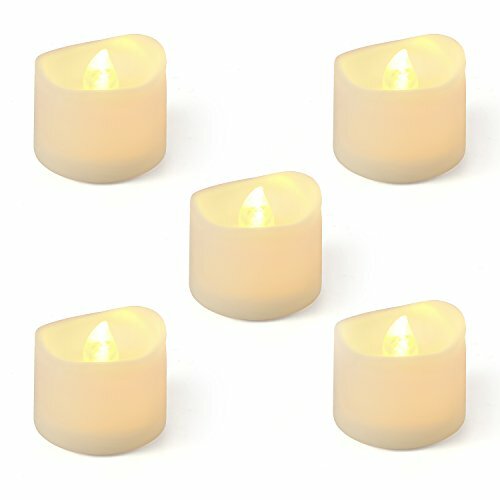 【Cool and Romantic】 Set of 24 unscented flickering flameless LED candles, sizes: Dia.1.4 "x H 1.3". 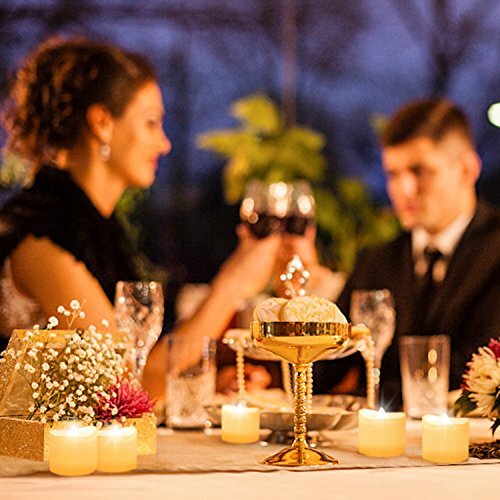 Flickers like a real flame - LED bulb will not get hot and rated to last 10,000 hours 【Soft Glow, Nice Ambience】 ideal for home/wedding/anniversary /Valentine's Day/ Halloween /table decorations, great way to enjoy candlelight! 【No Fumes, No Mess ,Safe for Kids, Pets, Seniors 】 These LED tea light can be used without having to worry of flame, absolutely no fire hazards or burning risks, safe for families with pet(s) or young child(ren) 【Easy to Use- On/Off switch for easy & convenient operation】 The tea light come with PRE-Installed batteries and can be replaced easily via the tab at the bottom 【Satisfactory guarantee】Kohree stands behind all of its products 100%. These lights come with a 12 month warranty. If you received broken or defective lights, please contact us Kohree any time, we will compensate you with free replacement or full refund.